Okay, so this chicken may not look like much. But, let me tell you something: THIS CHICKEN IS SO MOIST AND FLAVORFUL! Plus it’s extra awesome because it takes less then 5 minutes to prep! Woo Hoo! Preheat oven to 350F. Place chicken into 2 9x13 casserole dishes. Sprinkle the breasts with herbamare seasoning. Mix together the apple cider, apple cider vinegar, and chicken broth. Pour over chicken breasts. Cook for approximately 30 minutes or until chicken is cooked through. This recipe can easily be halved or doubled to serve more or less people. 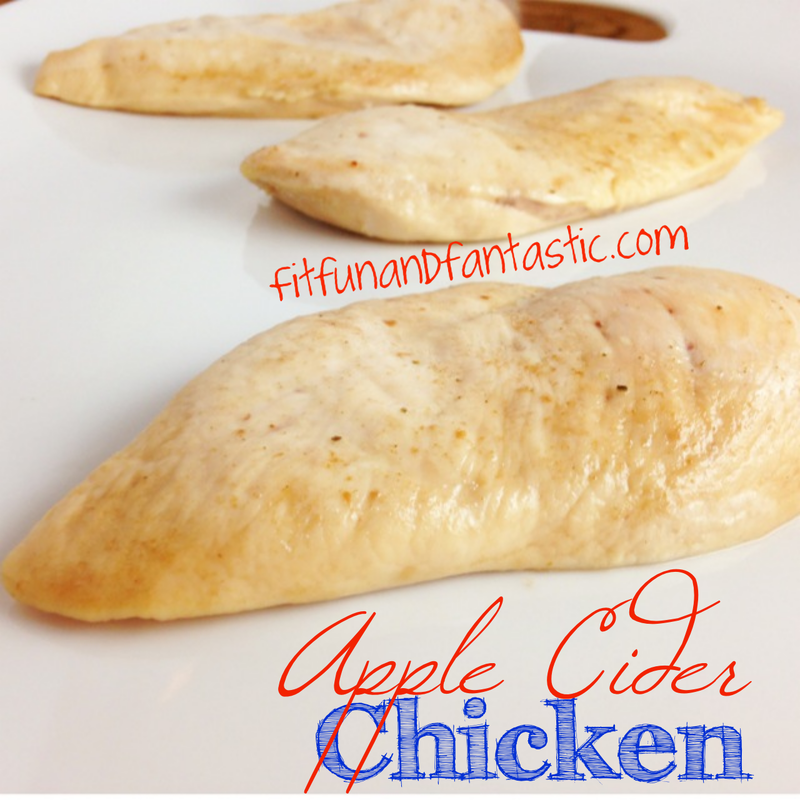 2 Responses to "Apple Cider Chicken"
I love a good apple recipe!